2 weeks later…Jackie runs another marathon & wins! No this isn’t an April fools joke… Jackie ran the Illinois Christi Marathon yesterday at Champaign, IL and badgered herself to another victory! She claims her plan now is to rest and recoop. We shall see, I bet she runs another one next weekend. hahah! Congrats to Jackie! She ran really well yesterday! 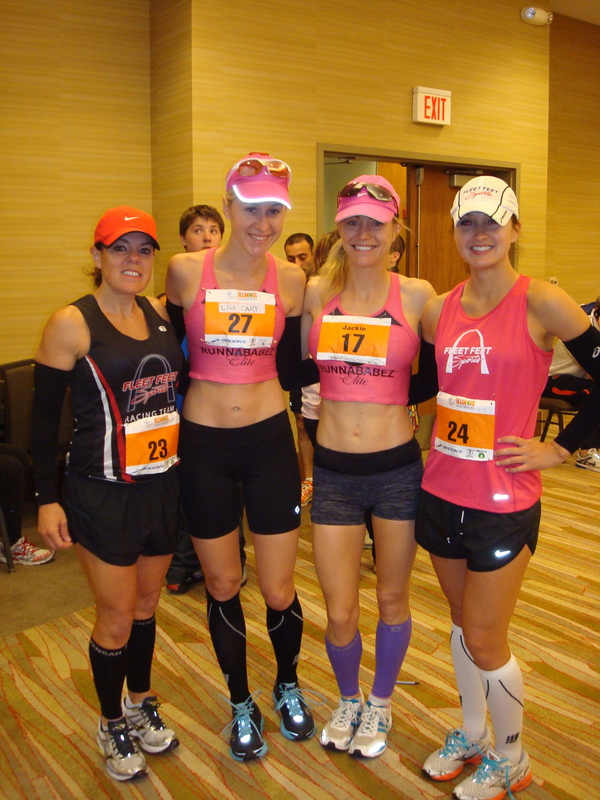 Below are some before race pics of fellow STL runners Christine Fisher, Amy Marxkors, Jackie & Lisa. Congrats to both Amy & Christine for setting new PR’s in the race as well ! Lisa acted as pacer& running buddy popping in and out amongst all. ← Jackie Pirtle-Hall Breaks GO! STL Marathon Record! & Lisa Cary sets Steeple PR!